This morning your private guide will meet you at 9am at your hotel and you will depart for a fun and interesting walking tour. You will discover the main sites and monuments of the capital such as Notre-Dame, Arc de Triomphe, Eiffel tower, Ste Chapelle, the Sacré Coeur, Les Invalides, etc as well as the most charming districts: le Marais, Latin quarter, St. Germain des Prés, Ile St Louis...). This tour will be played a lot by ear to please the clients. For lunch, your tour guide will give you different suggestions. Back to the hotel around 5pm. This morning your private guide will meet you at your hotel and you will discover the main sights & monuments of the Right Bank as you circle the Arc de Triomphe, walk along the Champs Elysées with stops to experience the elegance of the avenue Montaigne before passing through Place de la Concorde which harbors the historical obelisk. Place Vendome, where luxury is the key word and Place de la Madeleine where stand the beautiful Roman church are two very interesting squares to discover. 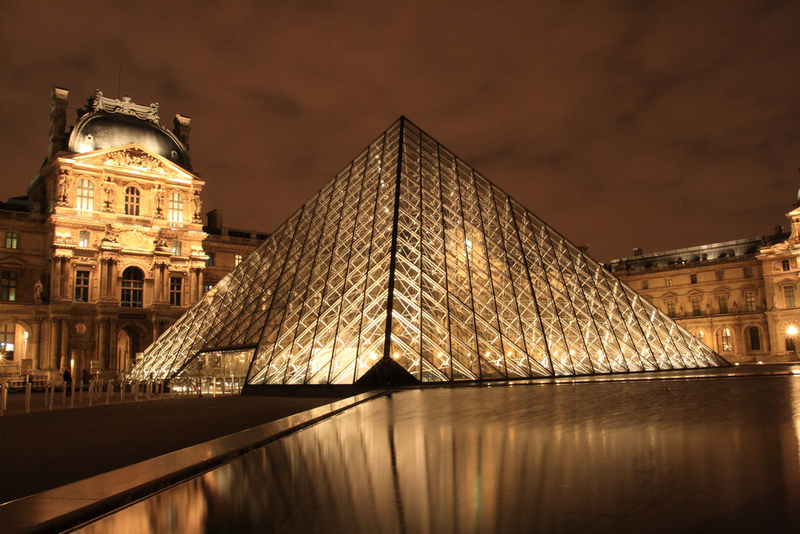 You will then enjoy a walk through the Tuileries Gardens to the Louvre & the Palais Royal. And in the continuity of your walking tour you will enjoy the famous and very charming Le Marais district. This tour will be played a lot by ear to please the clients. Today your private guide will meet you at your hotel at 9am and you will be on your way to discover the legendary Left Bank district. 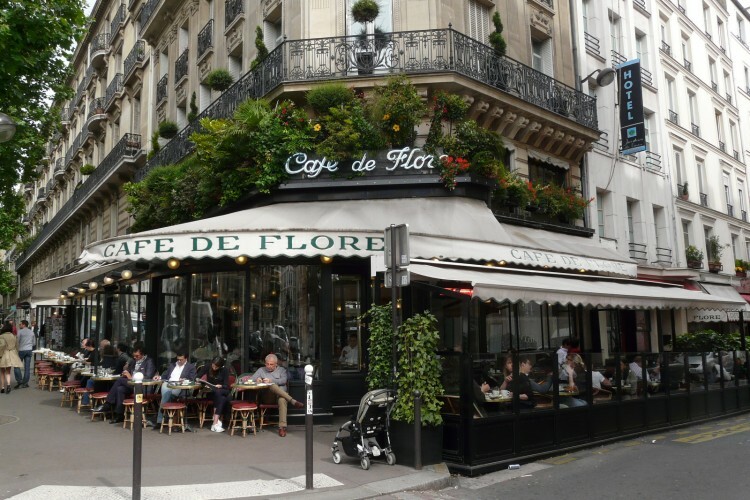 It is by far the smaller section of Paris, and historically known as the artistic part of the city. This is where many of the famous writers and artists who once called Paris home – including Picasso, Matisse, and Hemingway The Latin Quarter, named by Rabelais after the students & professors who spoke latin in the classrooms & the streets, contains more history & beautiful monuments that any other part of Paris. During this relaxing walk you will make your way from the Pantheon, the final resting place of France’s most famous citizens, to the manicured Luxembourg gardens via the infamous Boulevard St Michel. You will also enjoy walking through the beautiful St Germain des Pres with its art galleries & swanky boutiques. The other highlights are the Rodin Museum, les Invalides, la Sorbonne, La Tour Montparnasse, St Sulpice church, the Abbey of St Germain des Pres. Back to the hotel around 5pm. Paris is famous for buildings such as the Eiffel Tower, The Louvre and the Pompidou Centre, the Pantheon, Garnier’s Opera House and Sacré-Coeur. 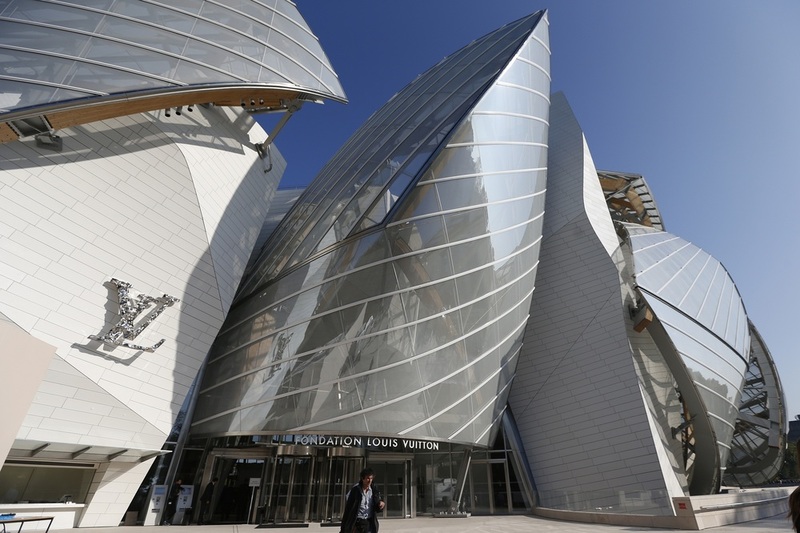 There are also major contemporary Parisian buildings including the Louvre Museum Pyramid, the Institut du Monde Arabe, the Parc de la Villette and the very new Vuitton Foundation building designed by architect Frank Ghery. Celebrated architects with buildings in Paris include Jean Nouvel, Frank Gehry, Richard Rogers, Renzo Piano and Tadao Ando. This tour will be tailor-made according to the clients' interests. Today you will relive the momentous French Revolution and learn how the Revolution shaped Paris as it is today. You will relive the troubled times leading up to the storming of the Bastille prison, the capture of King Louis XVI and Marie Antoinette, the Reign of Terror and the bloody results of the guillotine. All these events took place in 4 main sites: les Invalides, the Conciergerie, Place de la Concorde and the Tuileries Gardens that you will discover with the tour guide. 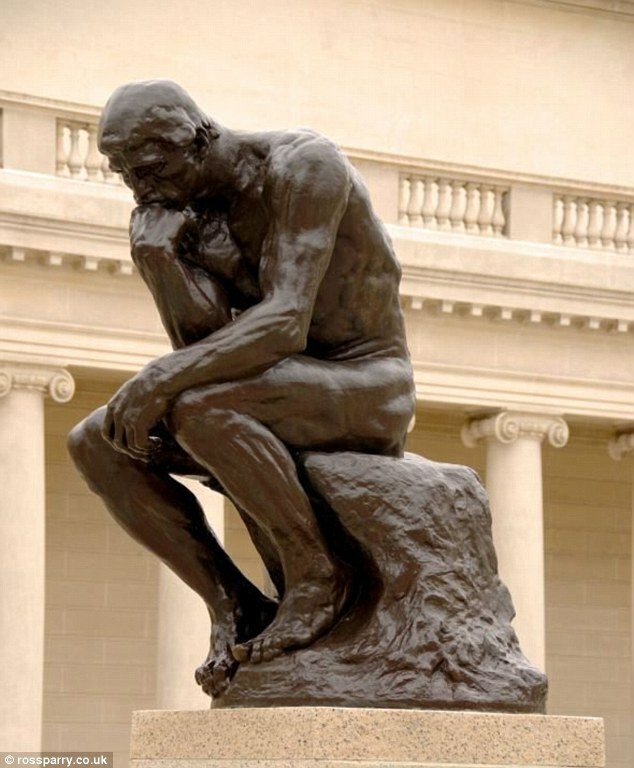 When the clients choose a driving tour, Chocolatine provides a chauffeur a disposal for 4 or 8 hours but the clients will spend a lot of time walking around the neighborhoods and/or visiting monuments, museums, etc..in another words, the clients do not stay in the car all the time. One of the liveliest neighborhoods in Paris, and a designated historic area, Montmartre has something for everyone—art, architecture, café and club culture, and, of course panoramic views of Paris. A funicular travels up the 427-foot “mountain” to the impressive Sacre Coeur Basilica, which was completed in 1912. Inside you’ll find one of the world’s largest mosaics; its famous bell, le Savoyarde, is among the heaviest ever cast. If you’re up to the climb, the top of the dome offers 360-degree views extending across 20 miles. The adjacent neighborhood, Place du Tertre, has long been home and studio to countless artists; among its first were Toulouse-Lautrec, Degas, Matisse, Renoir, and Picasso. Today, artists and craftspeople exhibit their work for sale and offer one the great souvenirs of Paris – a portrait of you! Discover the culture and history of the Jewish community through the ages with a historical walk of the fascinating quarters of Le Marais. The Marais is one of Paris’ oldest and most dazzling quarters. First developed in the 12th century, the Marais, which means "swamp" and once was one, went from being a royal favorite under Henri IV and Louis XIII, to falling into ruin after the Revolution of 1789. Since its revival in the 1960's, it has shone as a center of Parisian artistic and cultural life. The Marais is one of the only areas that preserves the narrow streets and architectural styles of Medieval and Renaissance-era Paris. Most of Paris was overhauled in the mid-19th century under the direction of Napoleon III and architect Baron Georges Eugène Haussmann. The wide, sweeping boulevards and grey, classical-inspired apartments that characterize places like the Champs-Elysées and Montparnasse are the work of Haussmann, who also modernized Paris by installing sewer and water systems. The Marais has a much different flavor. Its dramatic residences (hôtels), artisan’s boutiques, galleries, lavish squares, and fascinating history are worth reserving at least a half-day of exploration for. As time allows, you can visit the Museum of Jewish Life, Jewish memorials and taste the best falafels in Paris. Perhaps a walk of the lesser known Jewish quarters or a visit to the Jewish section of a famous cemetery dedicated to the extinguished souls during World War II.